In the backdrop of increasing role of the judiciary in state mechanism the constitutional significance of the Supreme Court's reference jurisdiction (Article 106) needs to be revisited and rejuvenated. Some pertinent questions relating to advisory jurisdiction of the Appellate Division may be raised in this connection; a. How advisory opinion of the Supreme Court can contribute to the development of rule of law and constitutionalism in Bangladesh? b. Is rendering advisory opinion more a function of the President than a jurisdiction of the Supreme Court? And c. Has the provision of advisory jurisdiction been best explored and exploited by the Presidents of Bangladesh? Keeping these questions in mind, the present write up would focus on the rationality of advisory jurisdiction of the apex court and discuss how that can be of great use in Bangladesh's present experience in nurturing its constitution, democracy, human rights and rule of law. One obvious objection against consultative role of the apex court is that it is not in vogue in major democracies like the USA. But there is a scope to view the matter from a different angle. President George Washington's famous request to Chief Justice John Jay and other Supreme Court Justices for advice concerning international law and American neutrality vis-à-vis the war between Britain and France in the early 1790s is a staple of constitutional history. The outcome is well known: the Court simply refused to give an advisory opinion, thereby creating the constitutional principle that the Supreme Court does not give advisory opinions in abstract cases; it only adjudicates “concrete” cases. However, a recent in-depth thesis by Stewart Jay investigates the history behind the Court's refusal to advise President Washington. The crux outcome of the thesis is that “an advisory relationship [between the Court and President] was not inconsistent with the text of the Constitution or the views of the Philadelphia Convention. To understand why the Justices seemingly turned away from this aspect of the British legal heritage, a thorough investigation of the events leading to the refusal must be undertaken” (Stewart Jay, New Haven: Yale University Press, 1997 p. 112). Thus, taking no definitive cues from the constitutional convention that advisory opinions were clearly prohibited, Jay fingered to the political dynamics of the first government under the 1787 Constitution. Apart from Jay's new finding, it can be argued that the rigid separation of powers doctrine is not applicable for a brand of constitutionalism as that of Bangladesh. The Indian Supreme Court is blessed with advisory jurisdiction under Article 143. The terms are analogous to Article 106 of Bangladesh constitution with the difference that Indian President may also ask about factual matters. It is not necessary that the question on which the opinion of the court is sought must have arisen actually. The President is competent to make a reference at an anterior stage, namely when he is satisfied that such question 'is likely to arise'. In terms of authority, the opinion of the Supreme Court is only advisory in nature and is therefore not binding upon the President. In actual practice, however, its opinion on serious controversies had a great binding force and constituted, insofar as the legal aspect concerned, the last authoritative word. Even if a political or other considerations bar its acceptance by the government, the opinion of the Supreme Court has been held in high esteem. The references made by the Indian President to the apex court so far (at least 10 times) were on the constitutionality of the Delhi Laws Act, 1912, the Kerala Education Bill, 1959, Implementation of the Indo-Pakistan Agreement on Berubari, the Sea Customs Act, 1878, the Presidential Election, 1974, the Special Courts Bill, 1979, the Cauvery Water Disputes Tribunal, the Babri-mosque/Ram-mondir matter , the Jammu & Kashmir Resettlement Bill, the Judges Transfer case and the Constitutionality of the Election Commission's Orders on the Gujarat Elections. To my understanding, Article 106 of our constitution is a constitutional curiosity. This curiosity is demonstrated by our learned judges (with ATM Afzal J. as the Presiding Judge) in the maiden case in our constitutional history in re No. 1 of 1995, 47 DLR (AD) 11, popularly known as en masse resignation of MPs case. The language of Article 106 is couched in wide terms which provide that any question of law may be referred by the President for consideration of the Appellate Division. However, many people argue that the President is not free to invoke such jurisdiction of the apex court on his own for the presence of Article 48 (3). The argument seems to be misleading as ATM Afzal, J. rightly observed: “The discretion is entirely his (President's) which can not be doubted or questioned. The expediency, or the motive, political or otherwise, or bonafides of making reference can not be gone into by the Court. The President's satisfaction that a question of law has arisen, or is likely to arise, and that it is of public importance and that it is expedient to obtain the opinion of the Supreme Court justifies a Reference at all times under the Article.” [Special Reference No 1 of 1995, 47 DLR at Para 23]. The President's prerogative can further be elaborated to be within the constitutional ambit by referring to interpretation of legend N S Bindra. Bindra in his Interpretation of Statutes at p. 871 observes, “[A] Democratic constitution cannot be interpreted in a narrow and pedantic (in the sense of strictly literal) sense. It is the basic and cardinal principle of interpretation of a democratic constitution that it is interpreted to foster, develop and enrich democratic institutions (read here the office of the President). To interpret a democratic constitution so as to squeeze the democratic institutions of their life giving essence is to deny, to the people or a section thereof the full benefit of the institutions which they have established for their benefit”. So, there is no reason why the President's power should come within the vicious circle of Article 48(3). The Chief Advisor options: After the dissolution of the 8th parliament on October 27, 2006, President Professor Dr Iajuddin, by virtue of the constitutional provisions, could have used Article 106 to seek advisory opinion of the Supreme Court to settle the opposing approaches to the interpretation of the concerned constitutional provisions, Article 58C (3) and (4) and 58C (7) (b) in particular. Instead, after assuming the office of the Chief Adviser, he in a live broadcast said to the nation that he had taken advice from the Attorney General on the constitutional interpretations of those Articles. Why the President bypassed Article 106, when it was of utmost necessity not only for him but also for the nation, still remains an unanswered question. Such bypass has in effect kept the interpretation on the point finally unresolved which in future may be a big problem for the next President while deciding the constitutional choice for the office of the Caretaker Government ( Ahmed Ziauddin:2006). Holding Elections within 90 days, Mandatory or Directory: The constitutional justification of deference of national election even after the judicial pronouncement to the effect that the Election Commission has failed to comply with its constitutional obligation by not holding election within 90 days could have been referred to the apex court. The local government election drama: Whether holding local government election prior to national election is constitutional or not could very much come within the list of asking under Article 106. 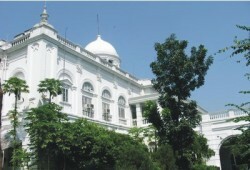 At least a constitutional curiosity would remain unresolved for future (Speaker Jamiruddin Sircar opined in a Seminar, 2 August Prothom Alo 2008). The manning of CTG: Whether there can be more than 10 members in the Advisory Council and whether creation of Special Advisor/Assistant Advisor was constitutional or not is a giant constitutional question. It is well settled in jurisprudence that what cannot be done directly cannot be done indirectly. Chairman of Bangladesh Law Commission Mustafa Kamal J. suggested this point to the government. But thwarting the constitutional spirit, a hoax on constitution has been played by the government creating Assistant Advisors' posts. Thus a big constitutional question is remaining unresolved. Constitutionality of a Bill for the purpose of a reformation in law or institution or body: We are now swimming in the wave of Ordinances. In abnormal absence of Parliament the extent of President's Ordinance making power should have been demarcated by the Apex Court. An analogy may be deduced from Irish experience. The Supreme Court of Ireland does not have any consultative or advisory functions. However, where primary legislation has been adopted by the Houses of the Oireachtas (parliament) the President may, before promulgating the measure as law, refer such measure or specified provisions of it to the Supreme Court in order to determine whether the relevant provisions are compatible with the Constitution. The opinion of the Court is binding. Should the measure or any provisions of it be found to be unconstitutional, the measure does not become law. Otherwise, the President promulgates the legislation as law. The language question of the Supreme Court: Constitutionally, the state language of Bangladesh is Bangla (Article 3). The official language of the Supreme Court is English. Question is whether the 'Supreme Court' doesn't fall within the definition of 'state'? Is the Higher Court itself not going against the constitution's mandate? Isn't there a diarchy in higher judiciary and lower judiciary on language question? It is argued that the decision in favour of using English in the Supreme Court established in Hasmotullah v. Ajmiri Bibee (44 DLR 1991, P. 332), is vague and misleading ( Salimullah Khan: 2006). It is suggested that in quest for our distinctiveness and retention as a nation the matter needs to be authoritatively settled by the Appellate Division. Constitutional jurisprudence shows that democracy exists in the larger context of constitutional values. Democratic institutions of a state should necessarily accommodate a continuous process of discussion and evolution, which is reflected in the constitutional right of each catalyst to make constitutional journey smooth. Advisory opinions could in this journey become more than rhetoric. My conclusions in the light of above discussions may succinctly be put as thus: i. The utility of Article 106 of Bangladesh constitution has not been extracted to the best extent possible. ii. The provision for advisory jurisdiction is superficially contradictory yet complementary to the theory of separation of powers. iii. In order to make advisory jurisdiction more fruitful, the President is required to be more vigilant about upholding the rights of the citizenry. The institutional orientation of the post of the President can make the seat more people-empathetic. Growth of confidence in each other may diminish the snootiest feeling between the executive and the judiciary. The public interest-centric mentality may lead to develop a new dimension of native constitutional jurisprudence. Hence, best extract of Article 106 may germinate a broadened horizon of public interest litigation which I propose to be termed as President's PIL. iv. The wording of Article 106 is such that seeking advisory opinion from the apex court is the sui generic power of the President. It is more a question of function than a question of jurisdiction. But once the court's opinion is invoked it should be a court's jurisdiction with all of its significance. That means it should be a law declared by the Appellate Division and hence binding upon all inferior courts (not necessarily upon itself). The writer is Assistant Professor, Department of Law, Northern University Bangladesh (NUB).